The Men in Black play a sold-out gig at The Beach Ballroom on their “The Classic Collection” tour. Review and photographs by Craig Chisholm. 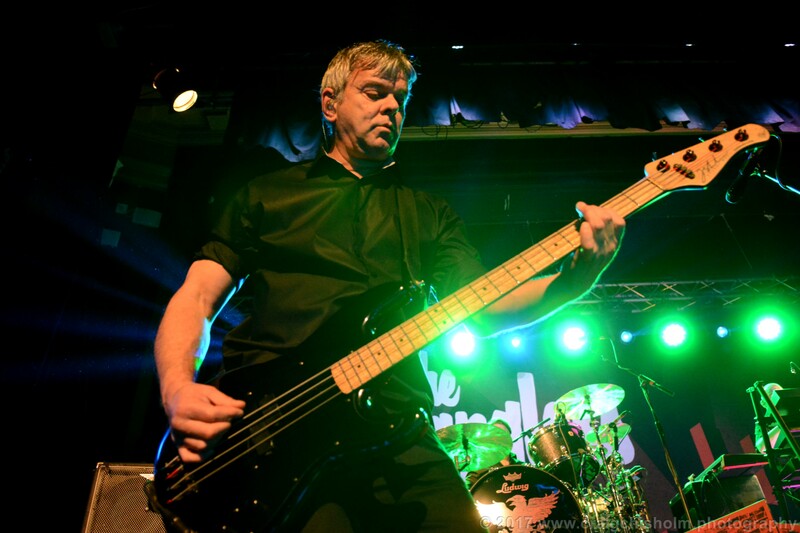 The Stranglers have been recording and touring for about 40 years now but they still provide an enthralling and entertaining show despite the years. The names and faces may change – original drummer Jet Black has stopped touring due to ill health and Baz Warne has only been the lead singer for the last decade – but the songs remain and the performances are still as lively and energetic as they were back in the 70s. With 17 albums in their back catalogue, the band are not short of a choice of what to perform. The 22 song set will have left the fans happy though and there can’t have been anyone too upset with what they play on the night. First up, however, are fellow punk veterans Ruts DC. Their ten song set includes punk classics ‘Babylon’s Burning’ and ‘Staring at The Rude Boys’ both of which are received ecstatically by the crowd. Their brand of reggae influenced punk rock proves to be enduring and timeless and still stands up four decades after it was first performed. Despite the crowd appreciating the special guests there’s no doubt that they’re here to see the main event though. 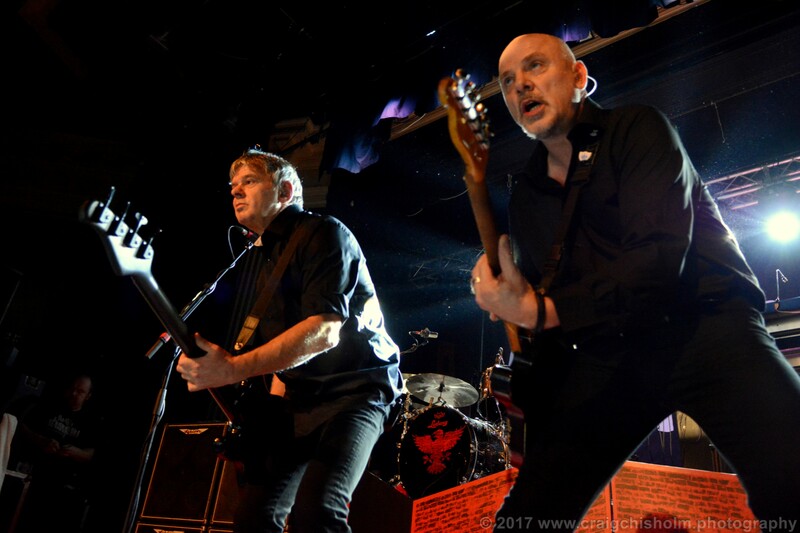 Hitting the stage at 9pm to the taped intro of ‘Waltzinblack’ The Stranglers blast through a 90 minute set filled with the hits, album tracks and the occasional deep cut. Vocals are mainly handled by the aforementioned Baz Warne. 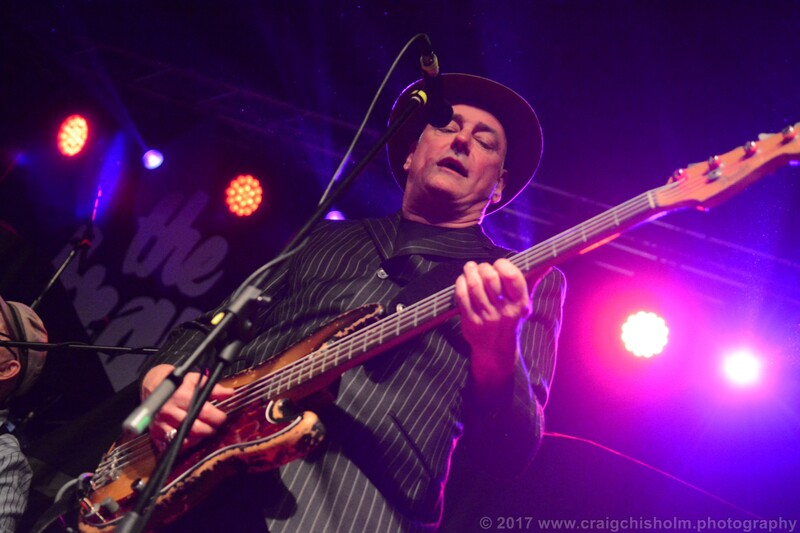 The amiable Geordie provides an ample replacement for original vocalist Hugh Cornwell and his subsequent replacement Paul Roberts. Bassist JJ Burnell must have a Dorian Gray style painting of himself hidden in the attic as he still looks as young and as fit as he did years ago. The hair may have traces of grey in it but, clad head to toe in black, he still cuts an imposing figure with a bass sound that rattles the pit of your stomach at times. His rasping vocals on cuts such as ‘(Get a) Grip (On Yourself)’ and opener ‘The Raven’ among other have a rawness and punkiness about them that has the Ballroom’s sprung dancefloor working overtime to accommodate the rowdy crowd. 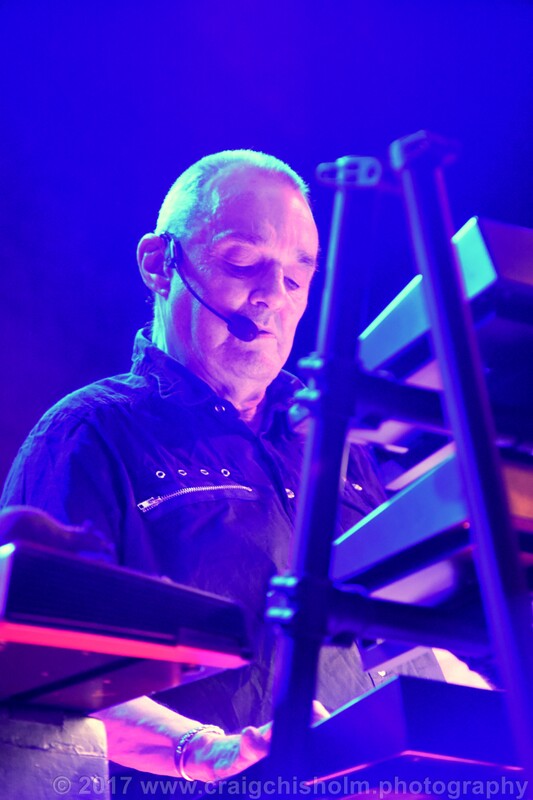 Original member Dave Greenfield is still there as well – hidden somewhere behind a bank of keyboards at the back of the stage. 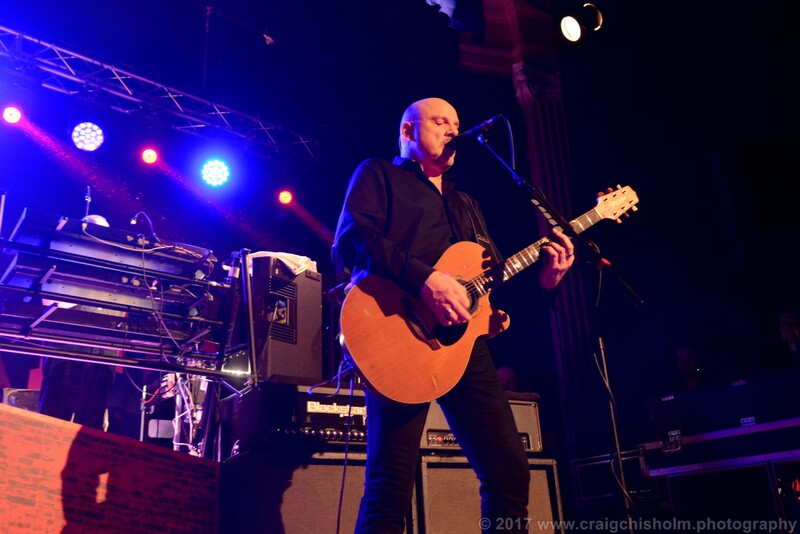 His organ sound is a big part of The Stranglers sound and provides a pop sheen to the punk chaos. The set is sprinkled with hits that even a non-fan would know – such as the balladic ‘Always The Sun’, the classic ‘Golden Brown’ and the cheeky, bass heavy romp of ‘Peaches’. After a blistering 20 song main set, the band return for an encore with ‘Go Buddy Go’ – the b-side of 1977’s ‘Peaches’ single – before finishing with genuine classic track ‘No More Heroes’. As the crowd head off out to the blustery North Sea wind, you’re left thinking that The Stranglers are wrong in one respect. There are still some heroes; not all of them wear capes though – some wear black. Eh? ” return for an of ‘Go Buddy Go’ ., And . “ware capes ” ?.